This episode chronicles the transformation of black gospel music into a defining sound for all americans and examines soul music's role in the simultaneous quest for african american equality in the '60s. On hand to tell the tale: berry gordy, jr., Ray charles, martha reeves, mary wilson, booker t. And the mgs, wilson pickett, maxine powell of the motown "charm school," motown choreographer cholly atkins, and many more. The hour journeys from detroit's motown records to stax records in memphis. Last stop: the fame studio in muscle shoals, alabama, where aretha franklin, a detroit preacher's daughter, made musical magic. 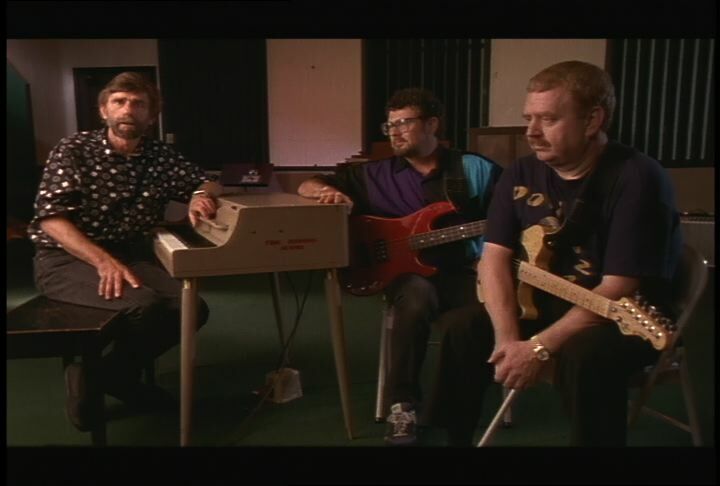 Chicago: “Rock and Roll; Respect; Interview with Spooner Oldham, David Hood, and Jimmy Johnson [Part 2 of 3],” WGBH Media Library & Archives, accessed April 22, 2019, http://openvault.wgbh.org/catalog/V_AD60AA2205C3477ABA4E55A1999B2EEB. MLA: “Rock and Roll; Respect; Interview with Spooner Oldham, David Hood, and Jimmy Johnson [Part 2 of 3].” WGBH Media Library & Archives. Web. April 22, 2019. <http://openvault.wgbh.org/catalog/V_AD60AA2205C3477ABA4E55A1999B2EEB>.